Musafir is the pioneer brand among the E rickshaws. 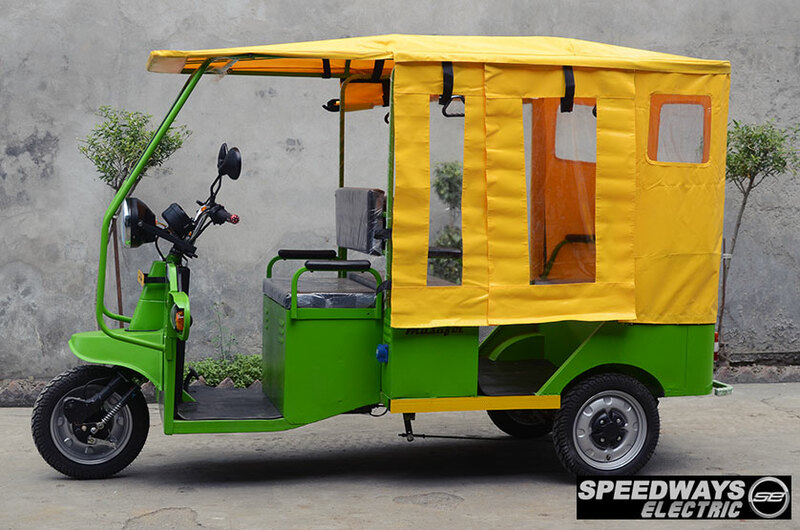 Musafir E Rickshaw is manufactured by the Speedways Electric with superior technical specifications. Musafir is powered by special EV Grade Batteries, it can run 120+ km in a single charge which makes it most reliable among others. It is approved by ICAT. Musafir E rickshaw is priced at Rs. 96,000. Speedways Electric are one of the noted electric vehicles manufacturers in India. With offices in India,US and UK, they are now a globally known for their quality, commitment and dependability.